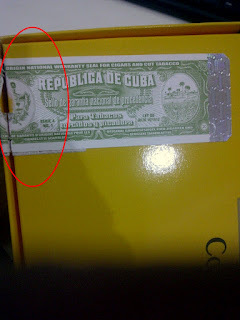 Me and My Cigars: Fake or Real Cuban Cigars? How can you tell.. I have had the same conversation over and over again about Fake COHIBA and how easily this brand can be replicated. 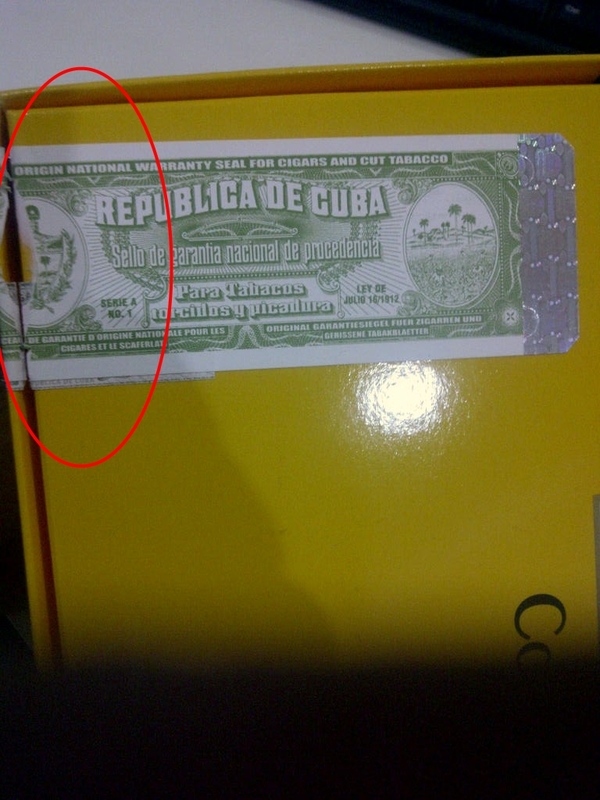 More and more counterfeiters and black market dealers are getting the fake cigars out as close to the authentic as possible making it very difficult to spot. As this subject keeps coming up, it turns out to be worrisome for some people who cant seem to confirm the authenticity of their cigars. In my case, its very easy to spot a fake and I will try to simplify it as much as I can. First of all! Have a good relationship with your local Tobacconist or where ever you buy your Cuban cigars and make sure they are an official Habanos S.A distributor/dealer. 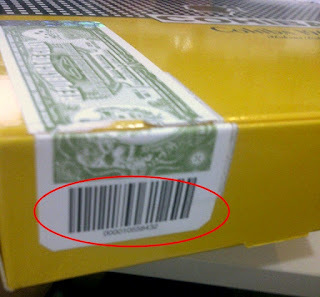 This way you would somewhat eliminate the possibility of probably buying a fake or counterfeit cigars from them. 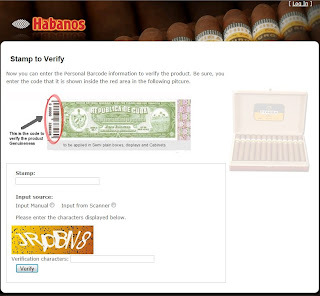 The Habanos seal is always placed on the top right hand corner of the box in an angle to always measure approx 59mm from the top end of the box to the bottom end of the Habanos seal. The Warrenty Seal will always be placed on the bottom left corner of the box leaving a 3mm to 6mm space from the edge to the seal and bending up to the front right over the center of the Cote d´Arms whenever possible (see below image). a unique bar code is printed on every single box which has saved information on a database allowing the identification of this product everywhere, whom this product was addressed to as well as the Invoice number, and other relative details. 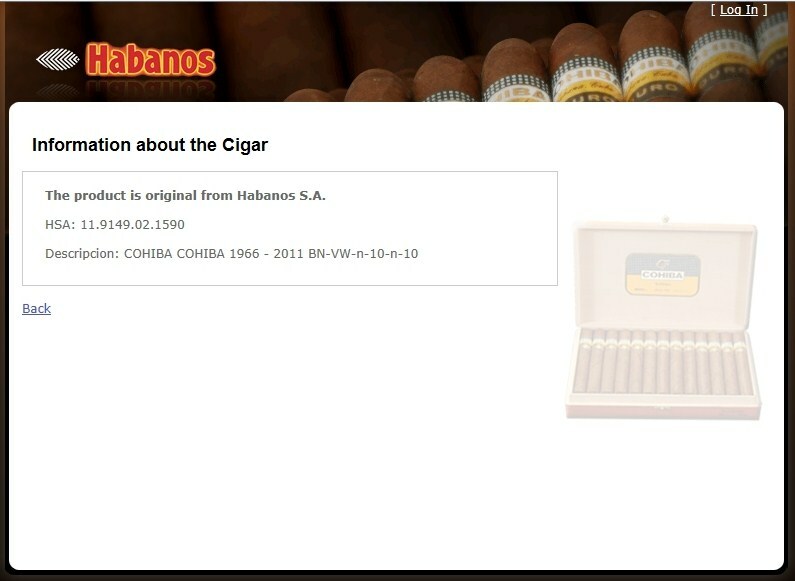 Second - Open the box and examine the Cigars as well as their bands. Look for color, uniformity, embosses & stamps and if anything unusual that stands out then compare it with a different box of the same brand. Try to eyeball the gauge size of the cigar as well as the tightness of the roll, this helps if you are familiar with the cigar. Yes I was lucky enough to not fall for a counterfeit COHIBA 1966, now to just enjoy your cigars without suspicion. 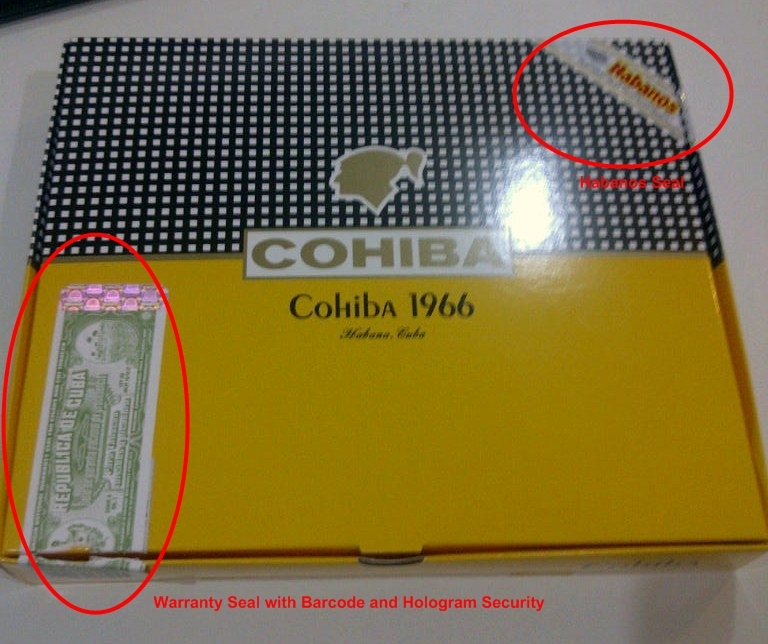 I wouldn't worry too much about fake or counterfeits cigars if I deal with a trusted distributor. Of course you can also get on the Habanos S.A website to find local distributors/shops close to where you live. 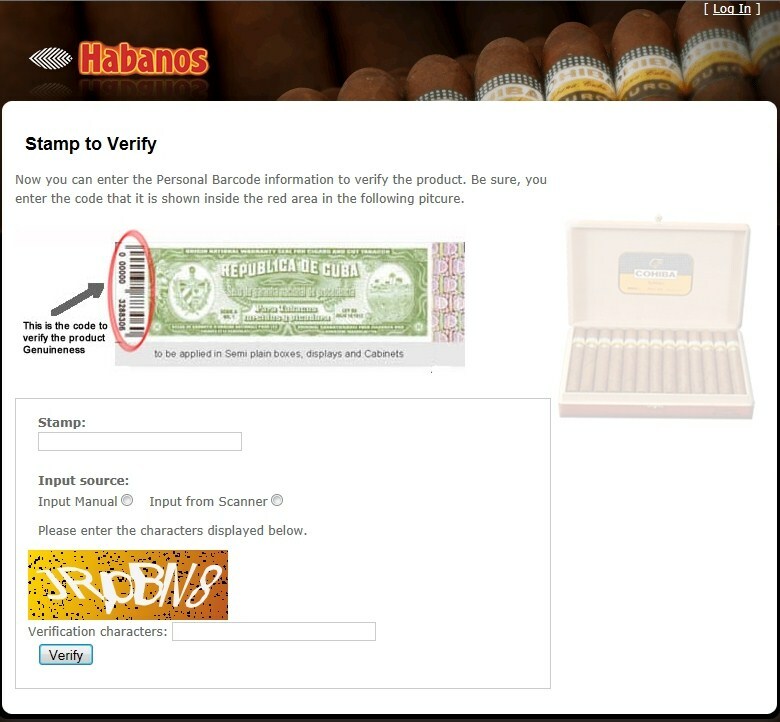 Please feel free to test this system out with some of your Cuban cigars and if any lucky person spots a fake in their collection, please share with us! I bought a box of fake ones and the lettering on the band of the cigar "vicarious" is not shiny its just a dull gold. If you are familiar with the brand, then the band would be a good indication of its authenticity. but now a days counterfeits are beginning to look exactly the same. From which country did you buy those fake ones? 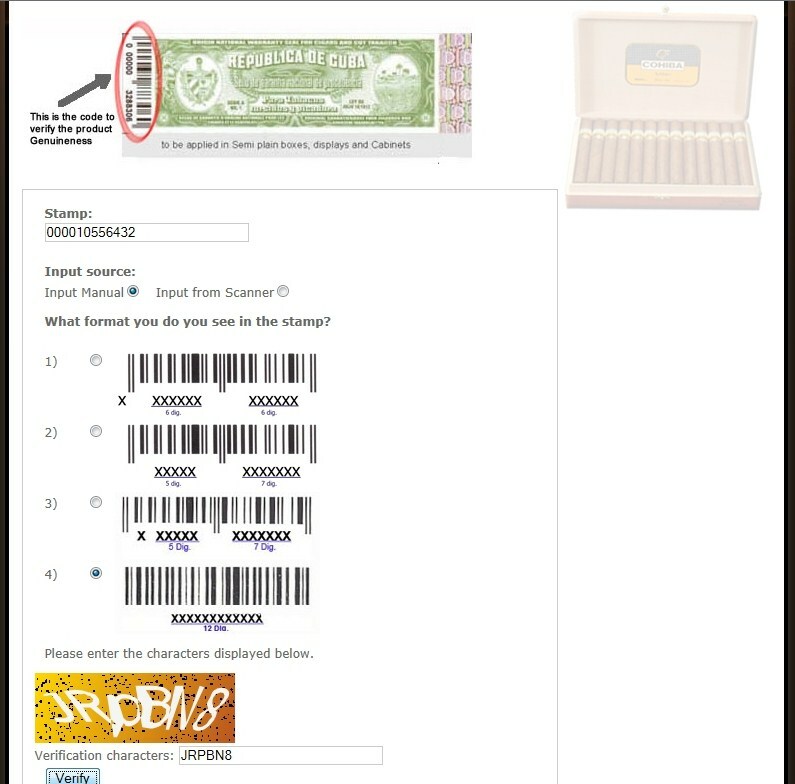 I have tried entering my serial number and it keeps giving me an error message. not sure what the problem is. 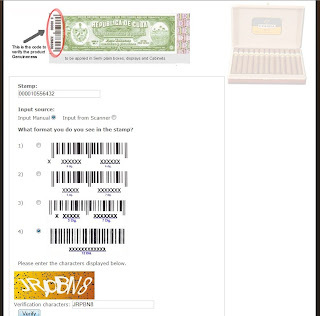 Make sure you select the right serial number format. 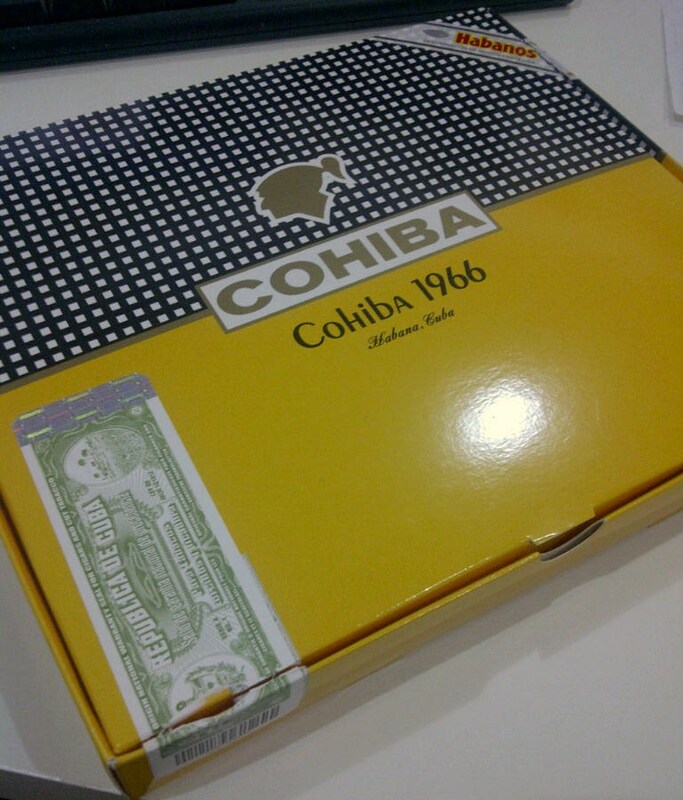 It will only work for Habanos brands. If the problem still occurs then the serial number is questionable. What is the brand?